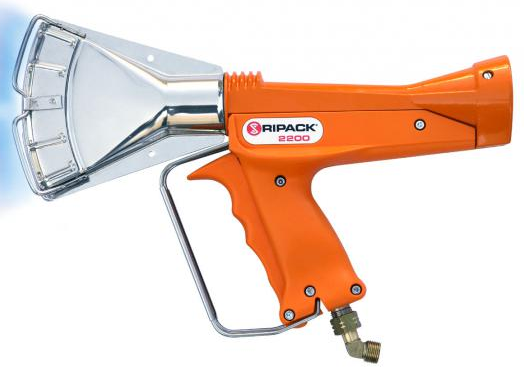 Meet the Ripack 2200 Shrink Wrapping Heat Tool Gun! 30 times more powerful, meaning that an average pallet is completed in just one and a half minutes. Its power, up to 72 kW, creates a major coverage area, thus saving time. A wide range of settings starting at 40 kW enables shrinking of all film types, from the finest to the heaviest. Lighter, well-balanced and easy grip, the RIPACK® 2200 nozzle can be pivoted, even while in operation, for easy and precise results. Even more pleasant to use with its patented, almost instantaneous start up. With its patented extensions system, in just a few seconds your RIPACK® 2200 can increase its potential range for even greater effect. 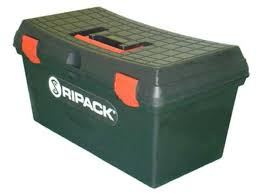 Already renowned for its solid construction, the RIPACK® 2200 has gone even further by protecting every part that might be adversely affected by impact, heat or breakage. Shipping wt with case & acc. 13 lbs. LOOKING FOR PARTS? NEED AN EXTENSION? See our listing of parts and available extensions Heat Gun Parts & Extension section of our store.